Departments across our Senior School have been working together to collect useful items to be donated to children in need. These items are no longer needed in their classrooms, but we were very pleased to hear that they will be used to enhance the learning opportunities available to children across Bahrain. 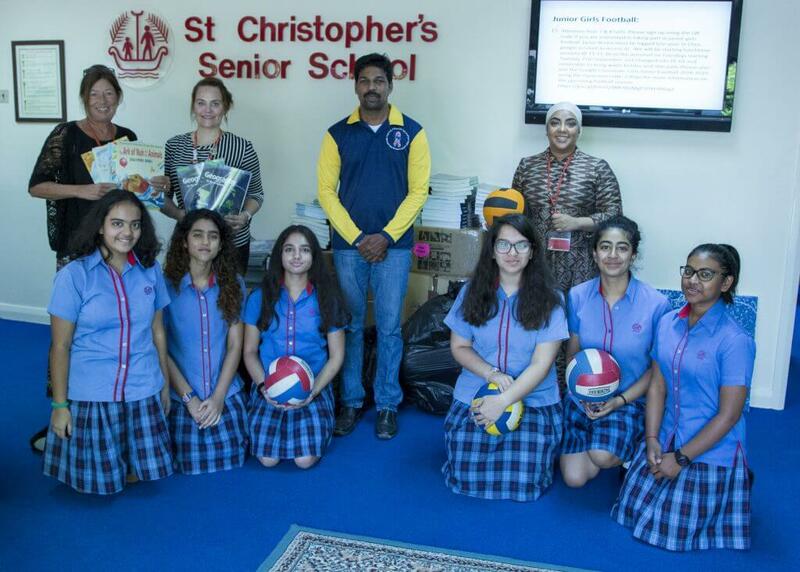 Our PE, Geography and Senior School Library generously donated several balls, an abundance of academic books and 14 boxes of fiction and non-fiction books to help support the education of children in Bahrain. Our Community Service team, coordinated by Anne Looker, invited the Bahrain Charity for Children with Behavioural and Communication Difficulties into school this morning to collect the items.